How can I restrict access to certain files? 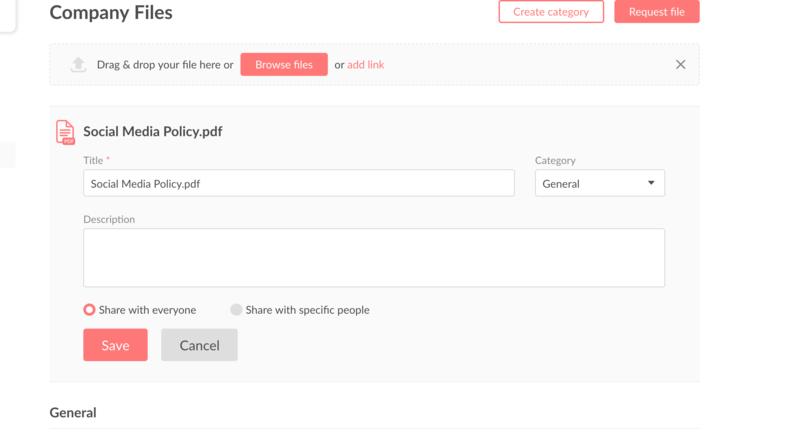 If you don't want everyone to view all documents, policies or records. Add a file by following these steps. Before you click "Save", select only those employees that you want to view the document. See screenshot below.